This is a very good effort, yet it doesn't quite have as much punch as some of the other albums i have heard, namely "Trout Mask Replica" and "Shiny Beast". It follows a similar strong structure to these albums so it is definetly for fans of those albums, this album isn't quite as weird which i think is a good thing as it makes this record more accesible. Some of the songs seem like they have been taken more time in creating, the production here is fine but not as good as on "Trout Mask Replica". This album has some memorable pieces such as "Her Eyes are a Blue Million Miles". This is an excellent bluesy piece which shows off some standardly written emotions from the man himself. The lyrics are pretty normal for something the captain has written. This is what makes this track standout. I think the other two masterpiece on this album are "Clear Spot" and "Big Eyed Beans from Venus". The latter has excellent guitar work allowing for some great build ups. "Clear Spot" is an energetic piece, maybe this should have been placed earlier on the album is it pulled me into this record more than any other track. The other tracks on the record are very good, each having their own qualities. The best of the rest include "Nowadays a Woman's Gotta Hit a Man", "My Head is My Only House Unless it Rains" and "Crazy Little Thing". This album is usually sold in a double pack with "The Spotlight Kid" and is definetly the better of the two. I think the captain and the band may have been pressured with 2 albums in one year but this one is definetly a worthy and enjoyable album. Clear Spot takes the approach of the Spotlight Kid (incorporating the fruit of the Trout Mask/Decals experiments into somewhat more conventional song forms as might have been found on Safe As Milk), and gives a slightly more commercial twist. Although the Captain's pursuit of commercial success would eventually run aground on the critically reviled Unconditionally Guaranteed and Bluejeans and Moonbeams, here the compromise between avant-blues and more straight-ahead songs is finely judged, and results in a fascinating blend which proves to be an interesting experiment in itself. Songs like Big Eyed Beans From Venus retain the surreal approach of previous albums, whilst even the most commercial song on the album - Too Much TIme - juxtapose a conventional song structure and backing singers with the Captain's characteristic Howling Wolf roar and occasional instrumental flourish from the Magic Band in a combination which actually enhances the song rather than compromising it. Had the Magic Band kept to the compromise arrived at with this album, they might not have experienced the drastic mid-70s slump they did. Four stars. 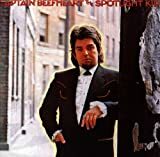 Picking up where The Spotlight Kid left off, this excellent album, featuring major-league production by Ted Templeman (Little Feat, Van Halen) gives fans a good taste of what a radio-friendly Captain Beefheart might sound like. Far from being a sell-out, though, this is a tough bluesy rock record that keeps the weirdness reigned in to strategically acceptable levels. "Low Yo Yo Stuff" and "Nowadays a Woman's Got to Hit a Man" (nice titles both) kick off the album with propulsive blues-rock - just off-center enough to hold your attention but well grounded in standard blues rock language. "Too Much Time" comes as a bit of a shock, a soulful pop ballad with female backup vocals, like something Al Green might have done. Instead of embarrassing himself though, Beefheart handles the piece with poise and impressive command of his voice in this idiom (remember "I'm Glad" from the debut album? so this isn't entirely new territory for him). "Circumstances" lets Beefheart let loose with his lungs a bit, but the song itself is still pretty basic. "My Head is My Only House Unless it Rains" is an absolutely gorgeous ballad, just stunning (trivia: The Tubes, of all things, later covered this song on their 3rd album). "Sun Zoom Spark" gives Zoot Horn Rollo (Bill Harkleroad) a chance to work out on slide guitar, for a brief raveup number to end side one. Side two follows much the same pattern, but ends with a pair of odd numbers that stand out from the rest of the album. "Clear Spot", the title track uses a cool phasing effect on its main guitar riff. "Crazy Little Thing" verges a bit on boredom, but it's thankfully brief, supplanted by the standout track "Long Neck Bottles", which uses a beer metaphor for.... you know. Excellent guitar and harmonica work on this one. "Her Eyes Are a Blue Million Miles" is another ballad, just as moody and gorgeous as "My Head is.........it Rains" on the other side. And then we launch into more daring Beefheart territory -- "Big Eyed Beans From Venus" is a chilling, ultra powerful epic with extremely loud guitars (Beefheart even calls out Zoot Horn Rollo by name in one of the breaks) and totally insane lyrics. Closing out the album on a puzzling note is the brief "Little Birdies", whose marimba/guitar mini-duet in between bass solos and spoken poetry sounds like something off of "Lick My Decals Off, Baby", their 1971 album. A cryptic closing number for an otherwise very warm, comfortable rock album. Four stars, easily, and an improvement over the more low-key Spotlight Kid. 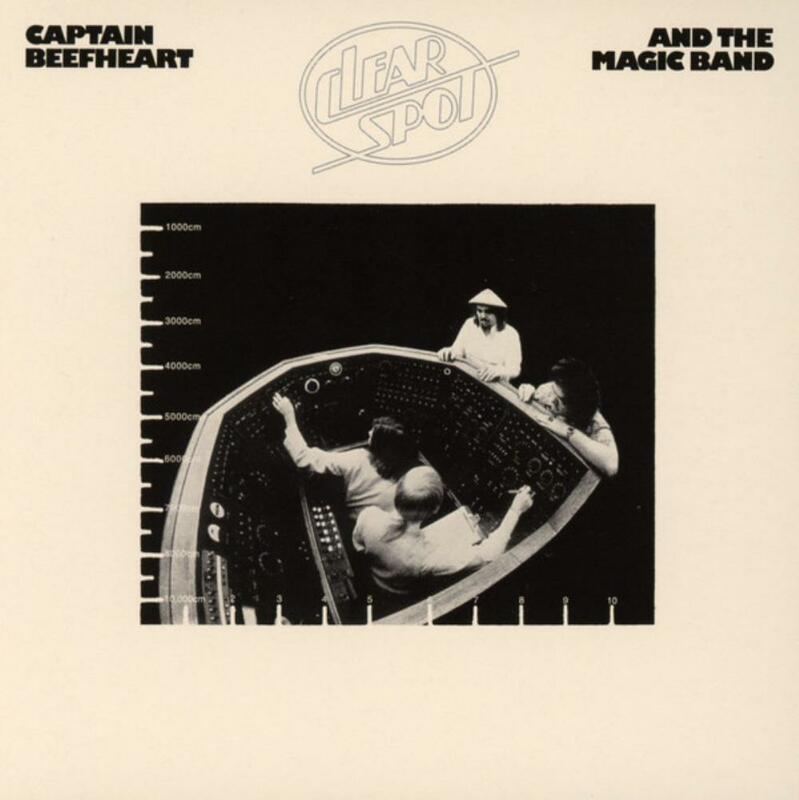 Post a review of CAPTAIN BEEFHEART "Clear Spot"